BJP President Amit Shah today offered prayers at the famous Rajarajeswara Temple in Taliparamba near here. Shah is here to inaugurate the BJP’s Janaraksha Yatra in Payyannur in the district. The senior BJP leader arrived at Mangalore airport early this morning and reached the temple by road from Bakel, an official in the party’s state media department said. He was accompanied by state BJP leaders. Shah was received by temple authorities. The BJP President, who spent 30 minutes at the temple, offered a golden pot to the deity. The Rajarajeswara Temple at Taliparamba is a famous Shiva temple in North Malabar. 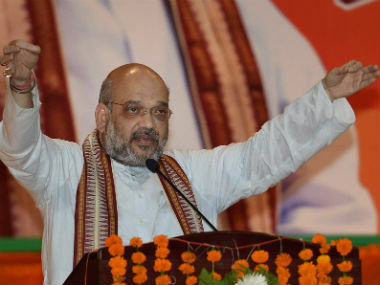 After offering prayers, Shah proceeded to Payyannur to launch the 15-day march in the state against the alleged ‘red terrorism’ unleashed by the Left party against BJP and Sangh parivar workers. 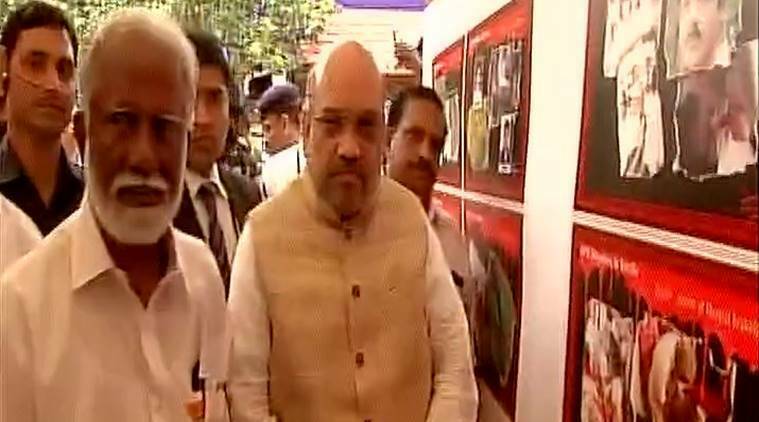 Kerala: BJP President Amit Shah inaugurated an exhibition of photographs of BJP workers killed in Kannur. The Jan Raksha Yatra (people’s protection march) from Payyannur will travel through the state before culminating in Thiruvananthapuram on October 17. 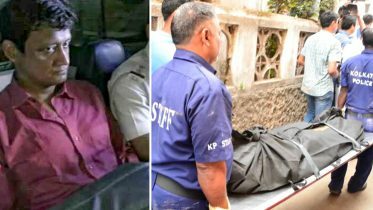 As many as 120 BJP workers, 84 in Kannur alone, have killed in the state since 2001 with 14 of them in the chief minister’s home town since he took over the reigns last year, the BJP has alleged. The CPI(M) has, in turn, accused the BJP and the Rashtriya Swayamsevak Sangh (RSS) of resorting to violence and denied the involvement of its government and leadership in political killings. Be the first to comment on "Amit Shah offers prayers at Rajarajeswara Temple"